Cryo Store offers a wide range of validated temperature controlled packaging solutions under the Kelvinbox brand name. Kelvinbox packaging solutions are available for frozen, refrigerated and ambient shipments in compliance with law and regulations (IATA, packing instruction P650, etc.) and depending on size and duration of your transport. 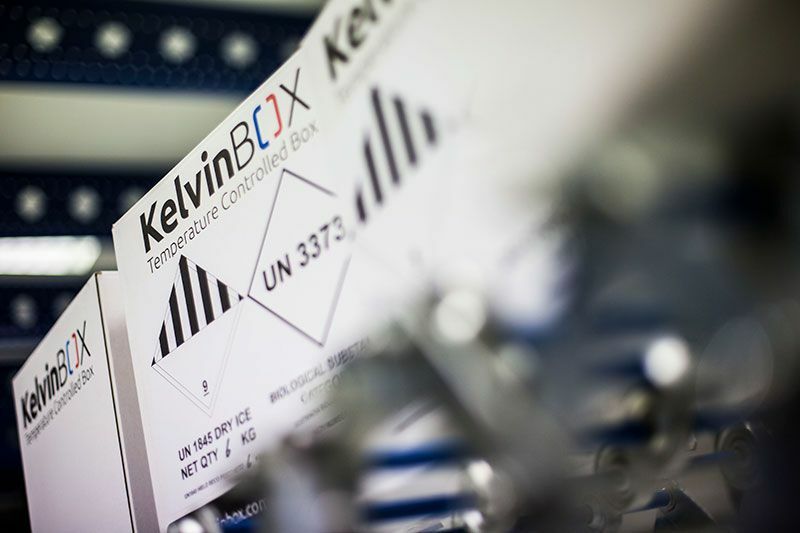 Cryo Store offers with Kelvinbox also a wide range of validated packaging solutions for shipments of biological, medical and diagnostic samples, classified as Biological Substance Category B, UN3373. This material must be packed according to packing instruction P650. The packaging must consist of three components: primary receptacle(s), secondary packaging and rigid outer packaging. For air transport either the primary or secondary packaging (vial, bag or jar) must withstand a 95 kPa pressure.